Who's the MC King in your office? A medical network that began to help small clinics band together and cut costs has grown a unique computerised database capable of tracking everything from the ailments affecting a company's workforce to spotting crooked doctors. Singapore-grown Make Health Connect, better known as MHC, handles 1.5 million medical claims a year from doctors in Singapore alone. It found that the information it gathered provided valuable insights into practices and trends on the ground. MHC founder Low Lee Yong told The Sunday Times: "Medical claims processing is a very expensive and tedious game. The idea was to link everyone up, simplify procedures and make things paperless. "But in the process, the network started collecting information which was captured at the point of consultation such as why doctors gave sick leave, and what medication they prescribed for what sort of pain." Although MHC started out to help doctors, its database has proven valuable to its other clients as well - employers who use MHC clinics for their staff medical panels, and insurance companies, which are spared having to ask individual companies for information on claims. "The system can help employers check how their employees use health benefits," said Dr Low, a former general practitioner. As its database grew, human resource professionals began asking questions like: What are common ailments afflicting our staff? How many medical certificates are issued each year? How much is being spent on medical benefits? How do our staff's medical claims compare with others in our industry? Crunching the data can show if staff at one company are just like those at most others and fall ill mainly with the flu and stomach problems, or if there is an unusually high number of hypertension cases. MHC can tell employers if older workers with chronic conditions such as high blood pressure, high cholesterol and diabetes account for a bigger chunk of the medical bills, or if too many younger people are seeing the doctor and the reason is workplace stress. The statistics can single out patients who make an unusually high number of trips to the doctor, and so initiate action to check whether the visits are legitimate. The MHC network covers more than 2,000 clinics in Singapore, Malaysia and Indonesia, and has nearly 2,000 employers with a total of a few hundred thousand employees. One company that used MHC's data crunching to introduce changes for its staff is UTC Aerospace Systems, which has more than 1,000 staff. It has been an MHC client for more than three years. Its HR director, Ms Maureen Tan, said: "We were told recently that the incidence of high blood pressure and diabetes was very high among our staff. This was helpful for our occupational nurse who could plan activities and programmes to tackle the problem, like planning a menu with less salt and less sugar in our canteen." Tracking medical leave could also help her department address performance issues. "Who are the staff jumping from clinic to clinic getting medical certificates just to take advantage of the 14 days of medical leave they get each year? "And who are those who still come to work despite getting MCs? Such information can help us manage our staff better," she said. Recently, MHC developed an online application which helps patients monitor their health on their smartphones and other mobile devices and also acts as a flagging system. Dr Low said: "We can tell them how much they are spending on their health, what drugs they're on. If their blood pressure is high, we'll alert them to get it checked and refer them to videos on the MHC website which give advice on how it can be arrested." Former United Nations statistics chief Paul Cheung told The Sunday Times that the key strength of MHC's database is its large network of clinics in Singapore, Malaysia and Indonesia. "Each one is a sensor, reporting health behaviour," he said, adding that the system would be extremely invaluable for epidemiology and analytics. He added that if the Government built this source into its community sensors network, it could be used to monitor real-time community health behaviour. "It can help in the planning of real-time response if there is a disease outbreak," he said. 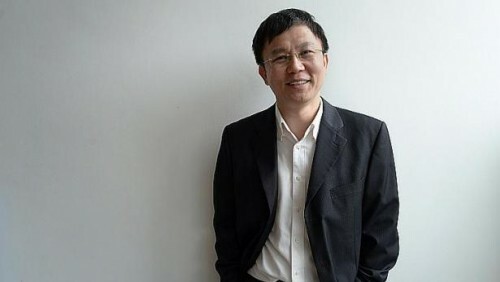 The veteran statistician, who is professor of social policy and analytics at the National University of Singapore, is in discussions with Dr Low to donate the database to the university because it is a treasure trove for researchers. "We are talking big data and insights from real-time information generated from nearly 2,000 clinics. It's definitely a first in Singapore, and very unique in the world," he said.